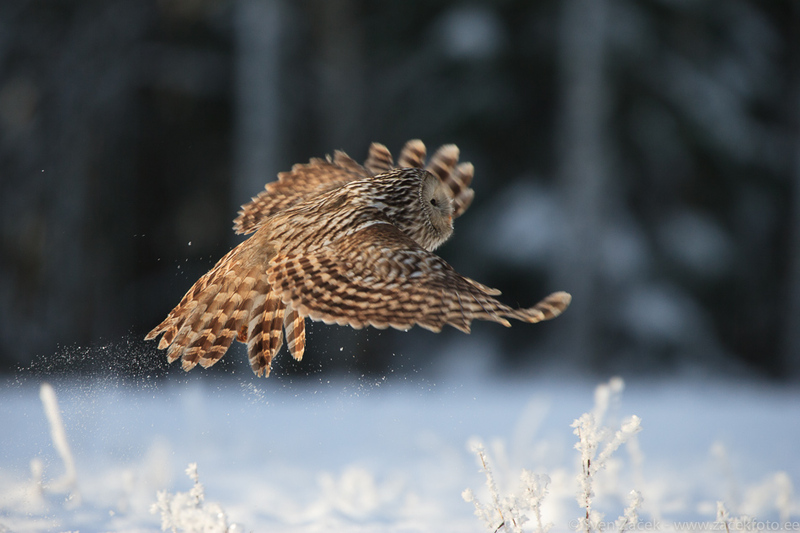 A female Ural Owl taking off after an unsuccessful attempt to catch a vole. During cold days like this morning, when temperatures were under -20 C the owls also have to hunt during the day if there is a scarcity of food, because they need a lot of energy to stay warm during our cold nights. Photo info - Winter: : Canon 1Ds MarkII + Canon 300mm F2,8IS + Canon 2x converter. F5,6, 1/800, ISO 400.